WOW!! It’s something how much these chicks act like men.. They have no shame in their game. They don’t care about who’s watching. I mean, damn, the dudes eventually stopped fighting each other and the chicks were going at each other worse than the dudes were. 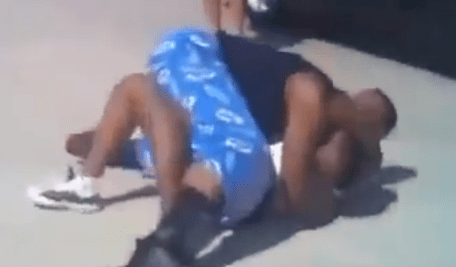 Ratchet chicks and dudes brawling in parking lot.